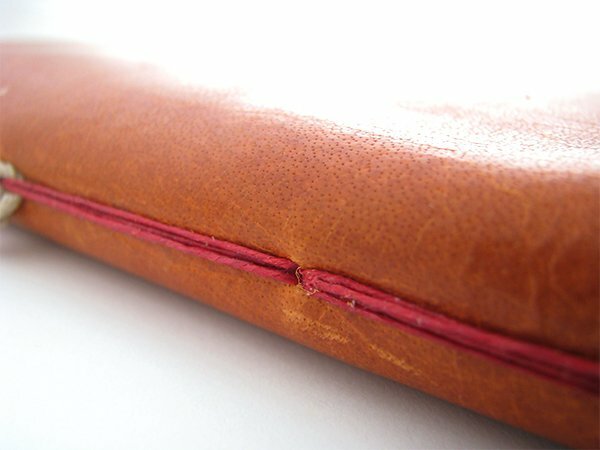 Welcome to book 13 of The 50 Book Project. 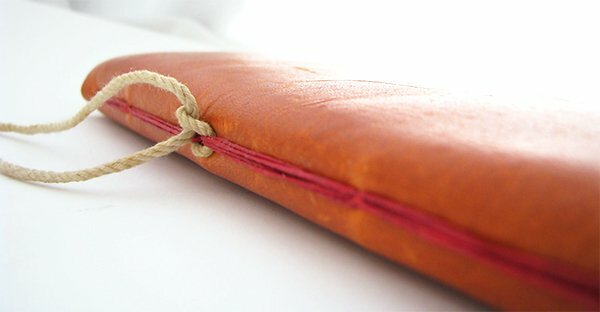 This week I created a rustic leather watercolor journal from a piece of tangerine leather. 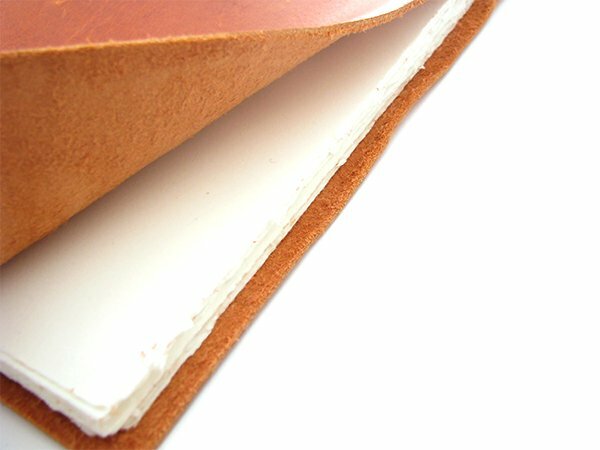 The binding is a modified pamphlet stitch. 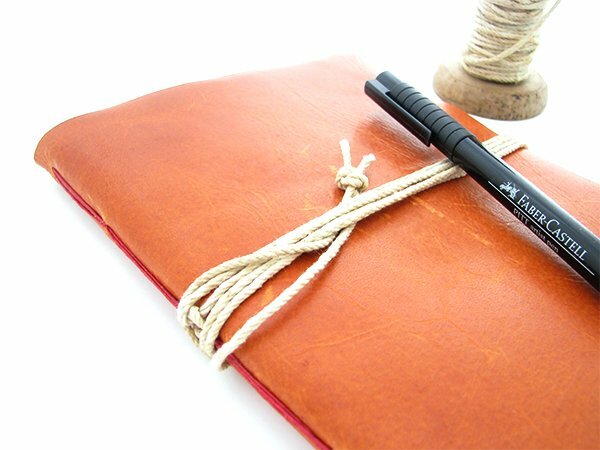 The four signatures each have their own sewing holes, but there are only 3 sewing stations or holes in the leather cover. 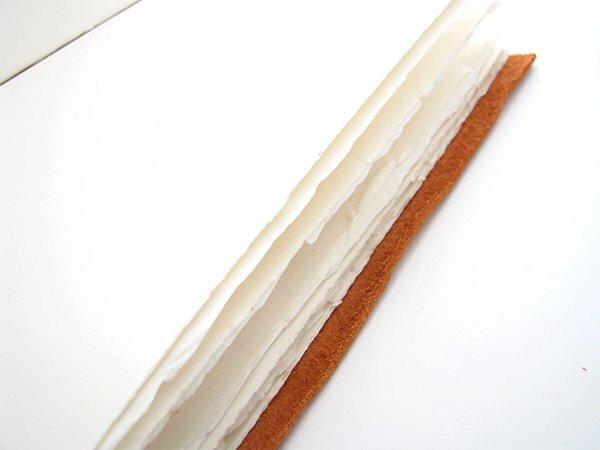 The 32 pages are torn from a large sheet of Arches hotpress 140lb watercolor paper and sewn with waxed linen thread. The closure is a piece of vintage twine from a spool I picked up at a flea market last summer. If you don’t want to miss another book, video or tutorial, please subscribe to my weekly newsletter. 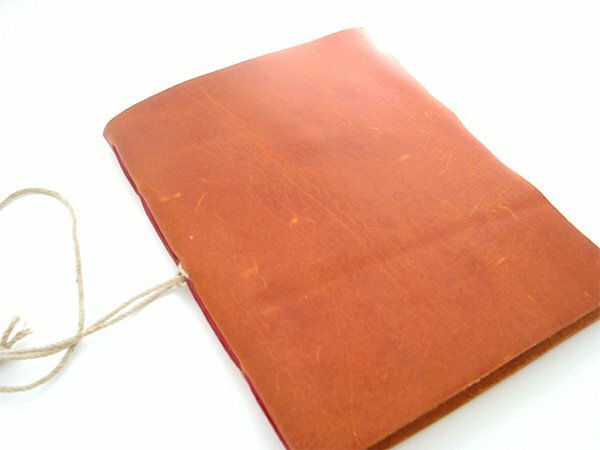 Where do you get the leather? 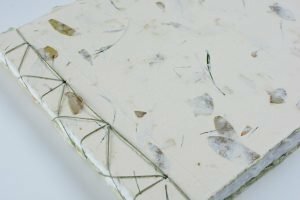 Hello, I have just seen her watercolor book … I would like such a bind, as an art Mixed Media Journal with a linen cover, instead of leather. When can we see her video and where?